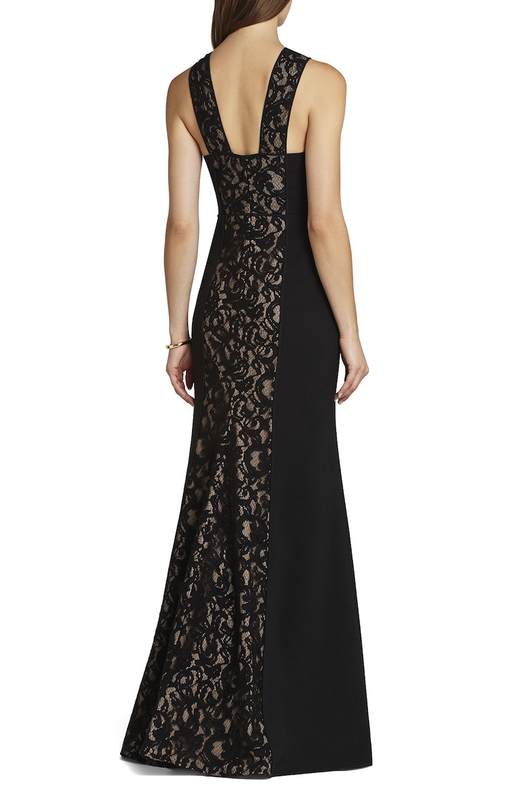 An irresistibly feminine gown featuring luxe lace detailing. V-neckline. Sleeveless. Lace inserts. Crossover-front bodice. Seamed waistline. Mermaid skirt. Concealed center back zipper with hook-and-eye closure. Self: viscose, nylon, cotton lace. Contrast 1: polyester crepe. 2: polyester tulle. 3: polyester georgette. Lining: polyester crepe de chine. Hand wash.